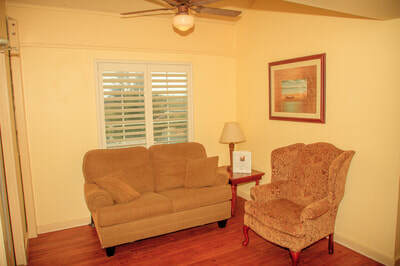 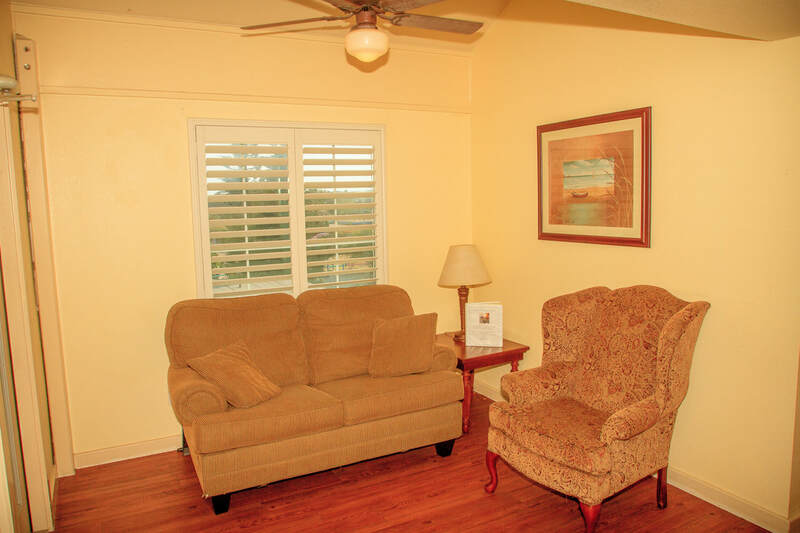 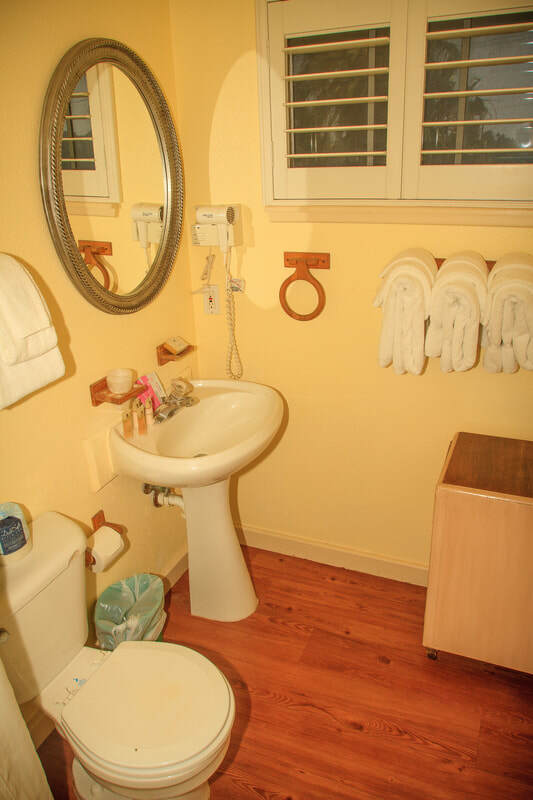 We have two Bedroom Suites in our complex, both located in the yellow 2 building. 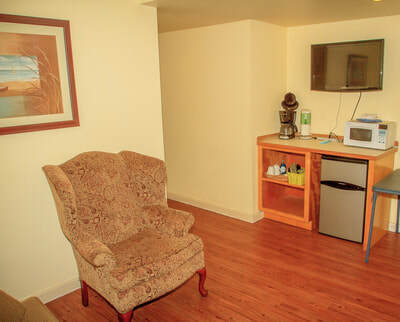 Bedroom suites do not have a kitchen but the living area has a counter with a half size fridge, microwave and coffee pot. 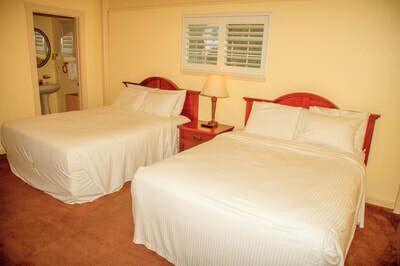 There are two queen beds in the bedroom.